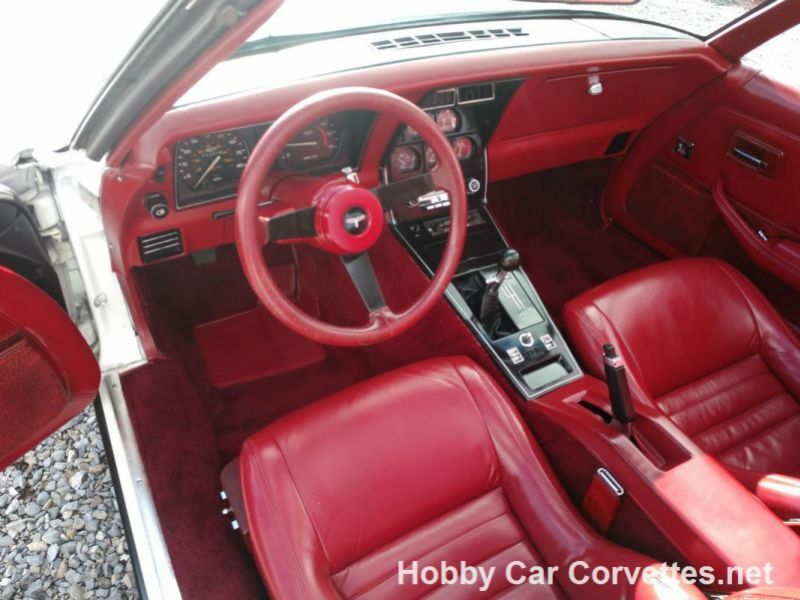 350, 93,000 miles on dash, dark red leather interior, four speed manual transmission, power steering, power brakes, A/C, tinted glass, AM/FM Radio, power seat, alloy wheels, power windows, tilt & telescopic steering column, Gymkhana suspension, original valve covers, original air cleaner assembly, and much more. 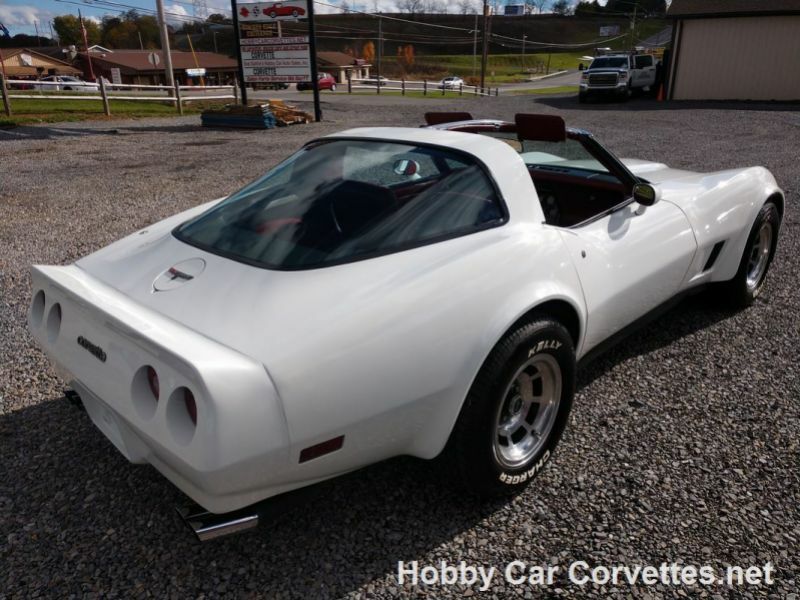 We replaced the 4 calipers, 4 sets of brake pads, 4 brake hoses, alternator, radiator, radiator hoses, tongue bushing, emergency brake cable, and much more. 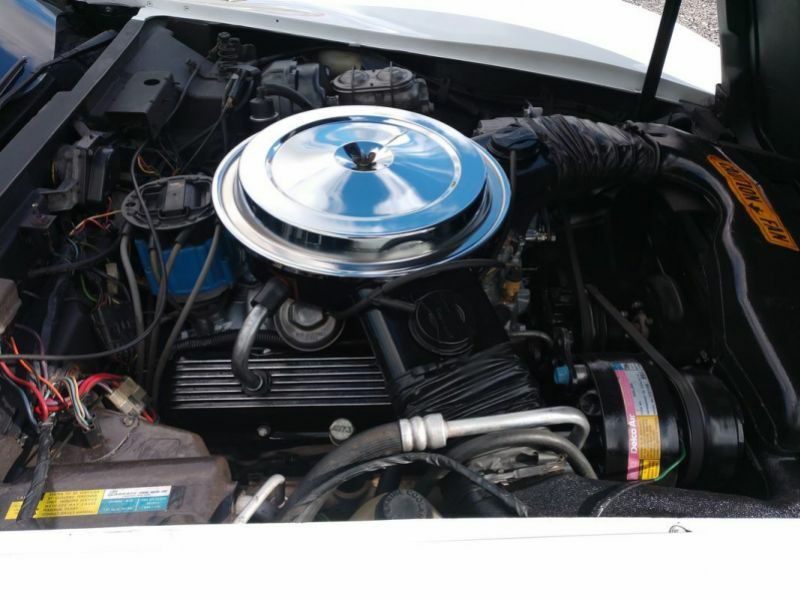 We also changed the oil and filter, transmission grease, rear end grease and additive, and checked and lubed the chassis. 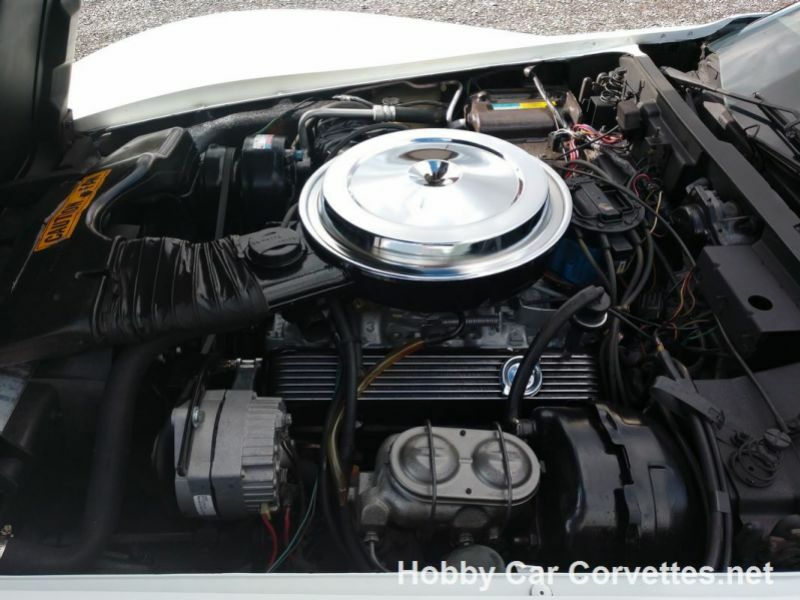 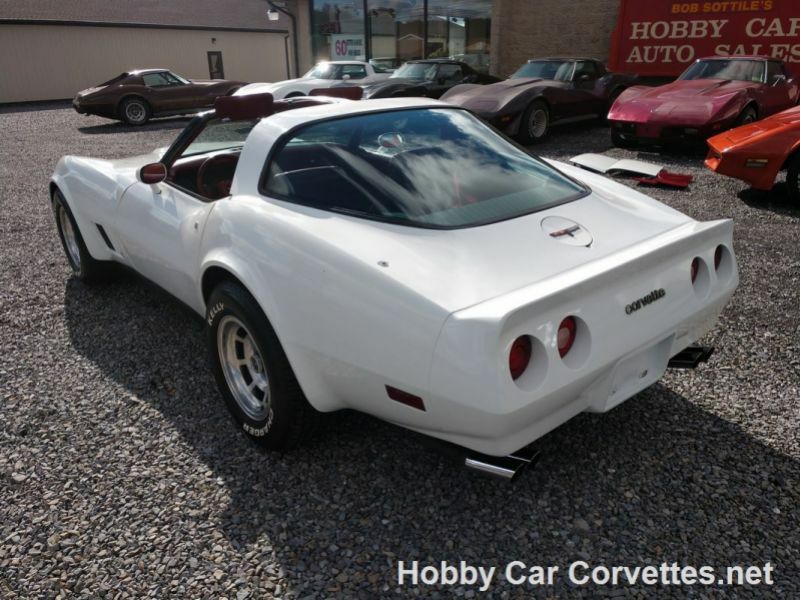 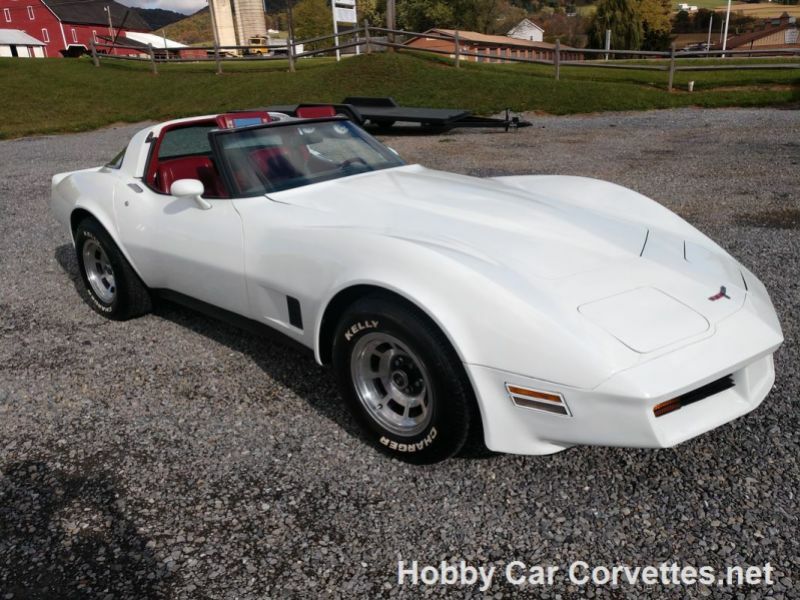 The previous owner owned this corvette for over 23 years. 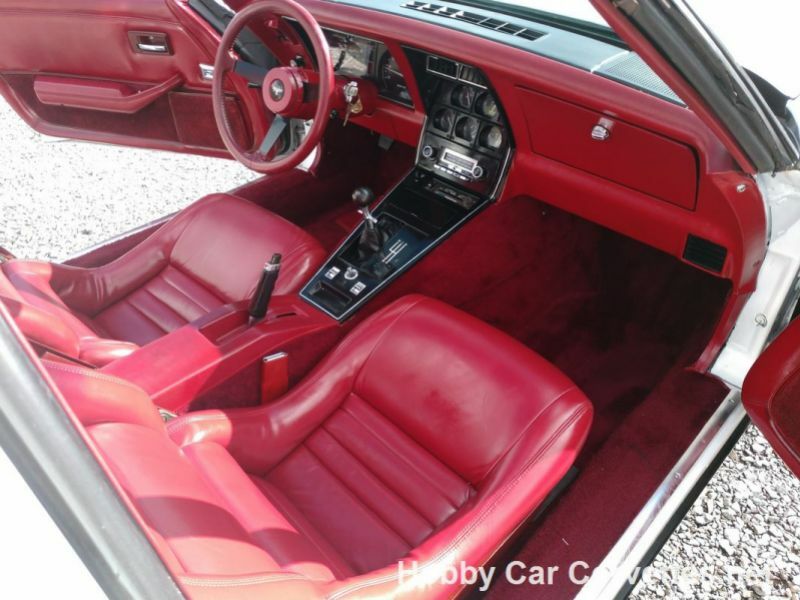 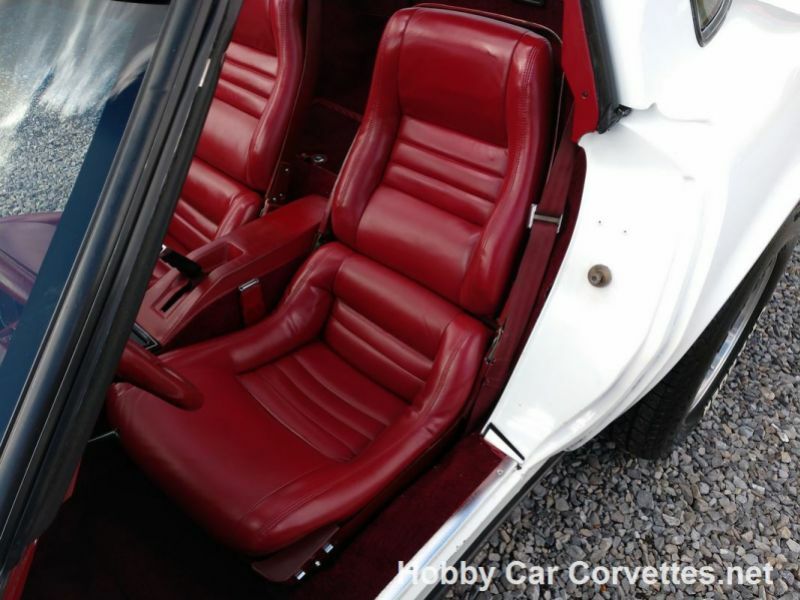 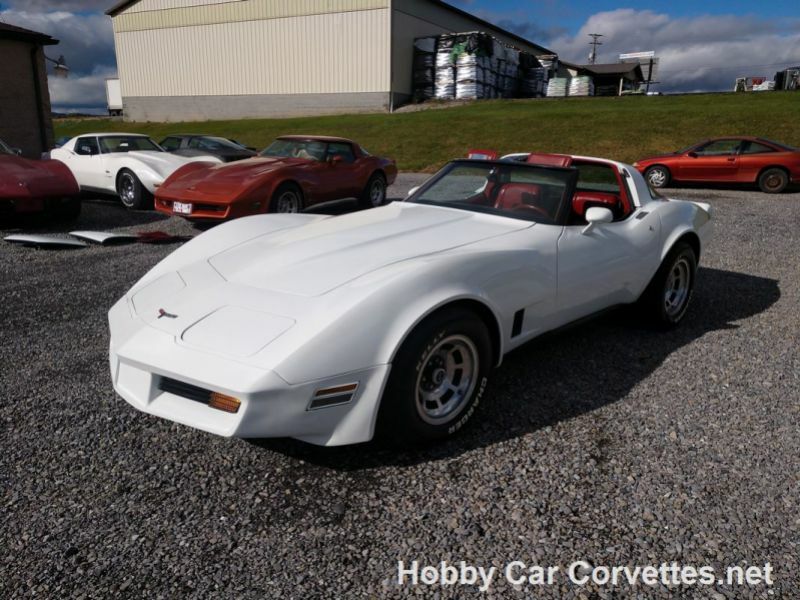 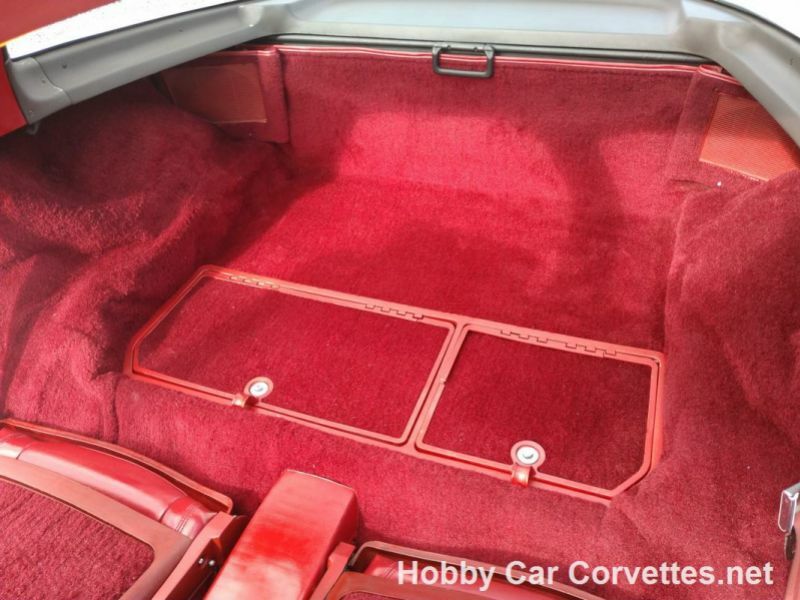 He had the corvette repainted and seat covers and carpet done while he owned it.